“Lady Bird,” “I, Tonya,” and “Call Me By Your Name” leaked online this week. All three films are currently in theatres. Three Oscar-contending independent films that are currently in theatres – “Lady Bird,” “I, Tonya,” and “Call Me By Your Name” – leaked onto piracy networks this week. The movies were reportedly ripped from critics’ awards-season DVD screeners by the piracy group Hive-CM8, which earlier this month leaked Louis C.K.’s controversial, unreleased film, “I Love You, Daddy,” in a similar fashion. “We are especially sharing this for the people who cant [sic] visit the cinema due to illness, or because it is a limited release that doesn’t make it to their country,” the piracy group wrote in the release notes. “Lady Bird,” a coming-of-age comedy by Greta Gerwig, has grossed over $US29 million since its release in early November, according to Box Office Mojo. The critically acclaimed film went to a wide release in late November. 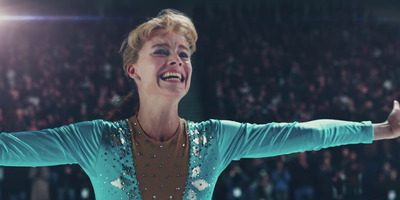 “I, Tonya,” a biopic of the former Olympic ice-skater Tonya Harding starring Margot Robbie, and the romance-drama “Call Me By Your Name” have also garnered critical acclaim, and are currently in limited release. According to TorrentFreak, Hive-CM8 also claimed responsibility for leaking Richard Linklater’s comedy-drama “Last Flag Flying” on Sunday.